Another rare tee for you collection is available. 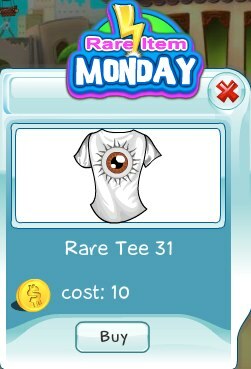 This week's tee features an eye - like a cyclops. Don't miss the chance to get Collector's Tee 31. It's available today only and will be gone soon!